While many look at Instagram simply as a social network, as an educator it can be a wonderful tool to help expand your Personal Learning Network and connect with students, parents and your colleagues. I found my way to Instagram several years ago as a place to post iOS photography that I had creatively edited with various apps. But over the years, the types of things that I post have grown to cover a blend of both personal and professional activities. As an avid digital sketchnoter, it’s a great place for me to post my sketches with the hashtag #sketchnotes so I can connect with the sketchnoting community. This year I am a Dremel 3D Ideabuilder Ambassador, so I have been posting many of our 3D printing projects in Instagram so I can build relationships with other educators interested in 3D printing. Posting to Instagram also allows me to share some of the creative things that can be done with apps and other technologies. I often post examples of lessons that I am doing in my classroom, or of a new app I am testing. Of course, an occasional restaurant, travel, or cat picture may slip in there once and while, too! Although I don’t specifically target the parents in my school, I use my account to demonstrate positive use of social media, so my profile is public, and I know there are school parents who follow me on Instagram. I find that the visual aspect of Instagram is faster than Twitter, and allows me to quickly scan through the photos for new ideas. Inspiration can come from anywhere, so I follow a number of educators that I have met in person at conferences or virtually, through Twitter. I also follow some companies or apps that provide me with new creative ideas for teaching. Professional Learning Networks are all about building a community,and in-person relationships are powerful. Instagram provides a personal connection with educators who inspire me, so I can easily make the transition from virtual to face-to-face easier when I have the opportunity to connect with a colleague in person. Throughout the week educators and organizations alike will be sharing personal stories, resources, tips and engaging in conversation under the hashtag #EdWeekInstaChallenge. @PBS.Teachers will be sharing challenge reminders and stories from inside PBS and classrooms! Each day will have a new theme and educators and organizations are encouraged to share one or more photos throughout the day around the theme, tagging each photo with a short description and #EdWeekInstaChallenge. Adding #EdWeekInstaChallenge is crucial, as it will aid in discovery. Monday: Introduce yourself the #EdWeekInstaChallenge community with a photo of yourself or your classroom. – Share 3 facts about yourself with the community. These can be anything from what and where do you teach to your passion areas outside of the classroom. Tuesday: Invite parents, community members, and other educators into your classroom, virtually. – If a parent or community member were to visit your classroom, what would you want them to see? 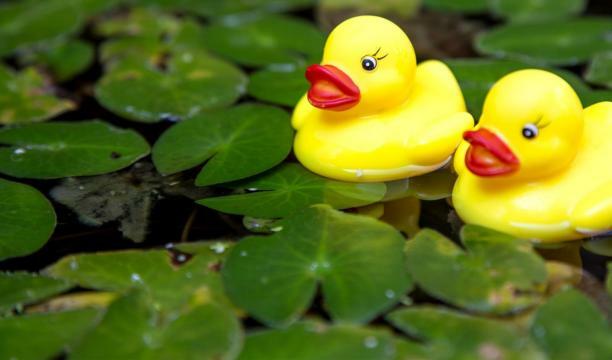 Share your favorite activities or spaces with us today. Wednesday: Who are the secret agents that help run your school? – There are people in every school: paraeducators, maintenance staff, or bus drivers who help keep everything running smoothly. Who could you not get through a week (or day!) without? Share their stories. Thursday: Who are some of the best ‘educators for a day’ you have brought (or wish you could bring) into your classroom? – Share photos or video clips of your favorite guest speakers. Or dream big: who do you WISH you could bring in to speak to your students? Friday: #TeacherFeetUpFriday – It’s been a long week of teaching & connecting! Time to put your feet up and reflect on the week. What has been the best part about this week? What are you looking forward to outside of the classroom this weekend? After (or before!) you post your photo, be sure to browse the hashtag to learn about other educators and organizations. Who can you connect with? Challenge yourself to leave meaningful comments and connect with three new educators each day. 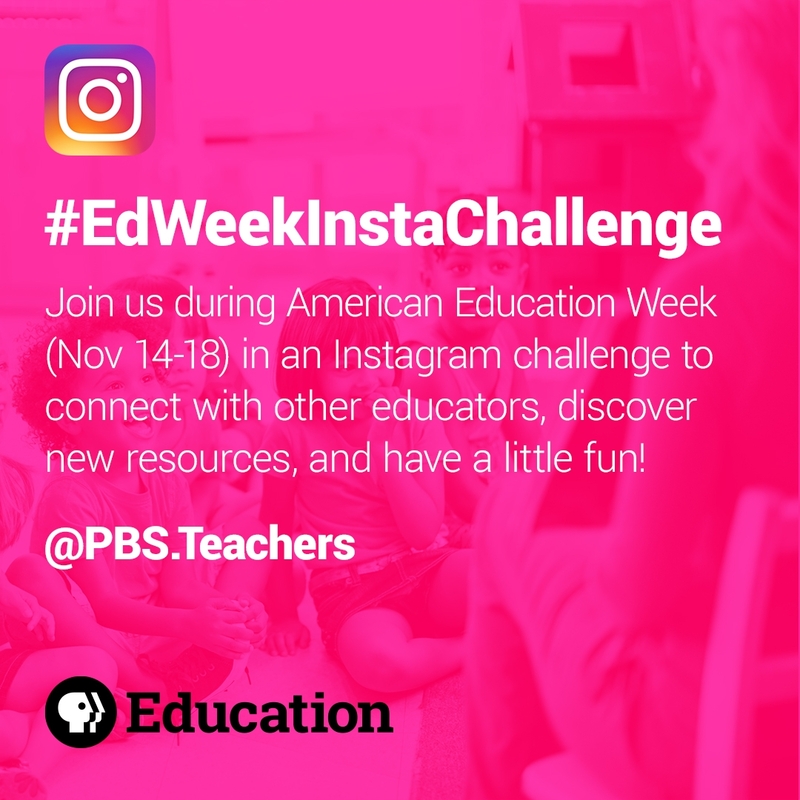 Follow @PBS.Teachers on Instagram for daily challenge reminders, behind the scenes photos, and stories of educators from across the world. 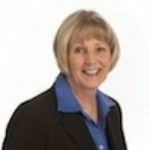 Karen Bosch is a PBS Digital Innovator and a K-8 Technology Instructor at Southfield Christian School in Southfield, MI. You can follow her on Instagram at @KarlyB or visit her website for tips on integrating tech into your classroom.